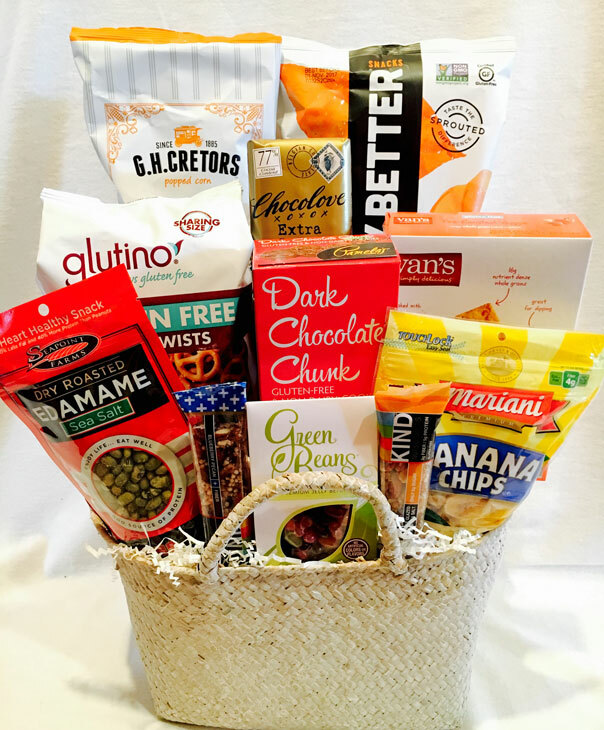 Our Gluten Free Deluxe Gift Basket is filled with outstanding gourmet foods that are carefully selected for quality, superior flavor, and freshness. This makes a great gift for thanking a client or celebrating a special occasion. Note: This Item is sensitive to heat and should not be in transit for more than 2 days during the summer.